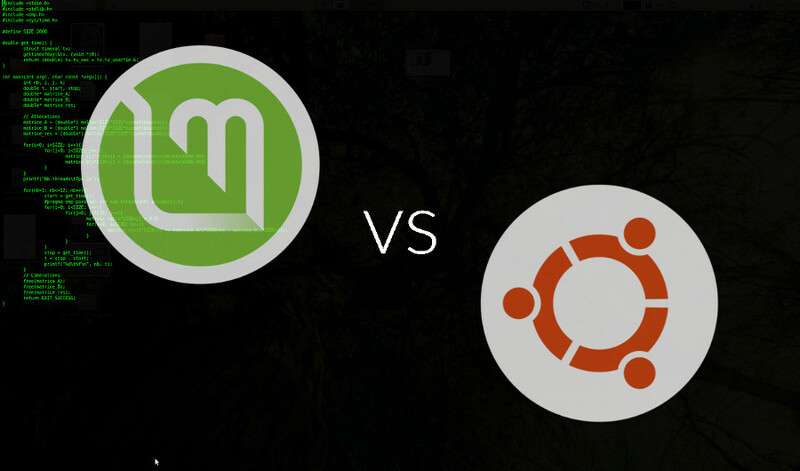 “Which is the better between Linux Mint and Ubuntu?”. That’s the common question asked by Windows users who plan to make a switch to Linux. Some new Linux users also ask the same question. One thing you need to keep in mind before making a judgement. 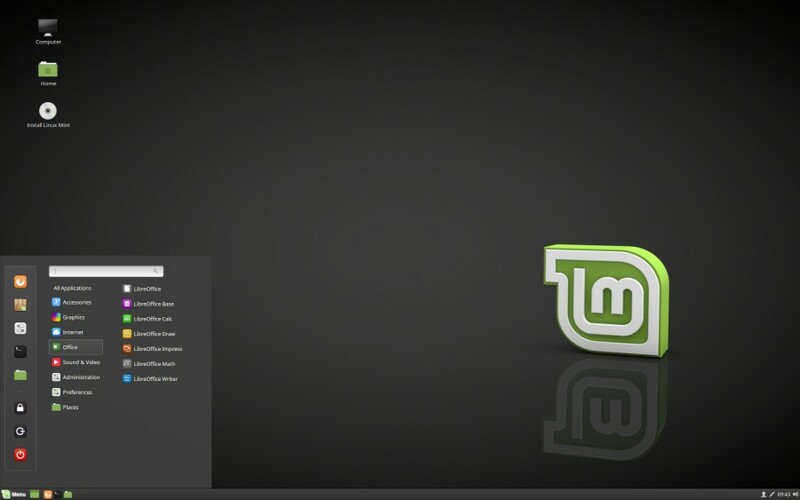 Linux Mint is built based on Ubuntu (although its developer recently also develop Debian-based version). So basically, Linux Mint is the re-packaged version of Ubuntu. On the surface, there is not much difference between Linux Mint and Ubuntu except the desktop environment. However, once you dig deeper the pre-installed packages, you will see several differences between Linux Mint and Ubuntu. Following are 6 key differences between Linux Mint and Ubuntu. Both Ubuntu and Linux Mint are free to use. The term “free” here has two meanings. First, you can use them without being charged. Second, you are allowed to make some modifications (in case you have the ability to do so) and redistribute the modified version under a new name — which then called distro (Linux distribution). That is why there are many Linux distributions. However, (unless you are developing a Linux distro for personal use) developing a Linux distro has never been that easy. You need a team to maintain your project and provide supports to the users. In the context of distro development, there are two types of developers: community and company. That is the fundamental difference between Linux Mint and Ubuntu. While Ubuntu is developed by Canonical, Linux Mint is a community-driven distro. Canonical itself is a UK-based company. So, what is the difference between community-driven distros and the ones developed by companies? Every project needs money to keep going. A distro backed by Company tend to last longer and has better supports since a company commonly has a reliable income resources — like selling services or products. Meanwhile, community-driven distros like Linux Mint commonly rely on user donations. Of course, there are many other creative ways to generate extra money can be adopted. In the case of Linux Mint, the developer also accepts ads on the official site of Linux Mint to generate extra money outside of user donations. The easiest way to distinguish Linux Mint and Ubuntu is by seeing the desktop environment they use. But first, let’s take a step back to 2004 when Ubuntu was released for the first time ever. Ubuntu 4.10 (codenamed Warty Warthog) is the first Ubuntu version. It used GNOME as the default desktop environment. At that time and few years afterwards, there were only two options of desktop environments on Linux: GNOME and KDE. Ubuntu opted to use GNOME. Ubuntu then switched to Unity in the release of Ubuntu 11.04 until 17.04 before eventually switched back to GNOME in the release of Ubuntu 17.10. Linux Mint, on the other hand, gives you a chance to choose your preferred desktop environment. There are four default desktop environments offered by Linux Mint: Cinnamon, MATE, KDE and Xfce. Linux Mint itself suggests you to choose Cinnamon — especially if you want to make a switch from Windows to Linux since this desktop environment is designed to be a Windows-like desktop environment with a menu panel on the bottom-left corner of the screen. Within a year Canonical releases two Ubuntu versions. Usually in April and October. Since Linux Mint is based on Ubuntu, it also adopts the same release cycle. However, Linux Mint has changed its release strategy. Instead of twice within a year, Linux Mint doesn’t have an exact schedule. The developer will release a new Linux Mint version when it’s ready to release. Started from the version 17 (Linux Mint 17), Linux Mint only uses LTS version of Ubuntu as a base. Both Linux Mind and Debian are basically Debian derivatives. In every distro based on Debian you can normally find a tool called dpkg and apt. Those two tools are basic package managers you can use to install new applications via terminal. These days, there are a bunch of GUI-based package managers you can use as well. Synaptic Package Manager is the common example. However, this package manager is not installed by default on Ubuntu. 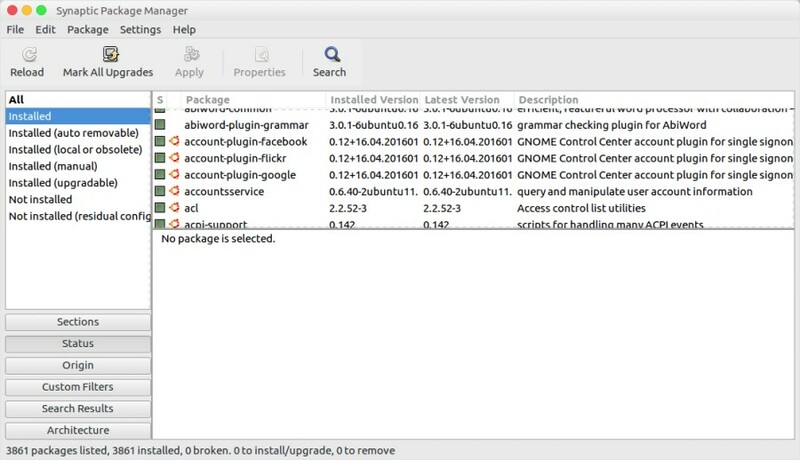 Instead of Synaptic, Ubuntu offers its own package manager called Ubuntu Software Center as the default GUI-based package manager. So do Linux Mint. It also offers its own GUI-based package manager. In addition, you can also use package managers from third parties like Flatpack to install new Linux apps. Since Linux Mint is based on Ubuntu, it retrieves the packages from Ubuntu repositories, although it also has its own repositories. However, the vast majority of packages are retrieved from Ubuntu repositories. Linux Mint and Ubuntu have one thing in common. They come with pre-installed software like office suite, web browser, graphic editor, utilities and multimedia applications. Especially for multimedia application, you normally need to install additional codecs to play certain multimedia formats in Ubuntu. Like MP3. It’s because MP3 is a proprietary codec. The default multimedia applications offered by Ubuntu does’t include the codec. Linux Mint, on the other and, has included this coded by default so you can play some video formats as well as MP3 files right away without needing to install any new app. DistroWatch is a website that provides popularity rankings of Linux distros. While the method to give the ranking remains unclear, many Linux users put their trust on this site to check how popular the distro they use. Ubuntu has been on the top of the ranking for years, as well as Linux Mint. At the time of writing, Linux Mint is on the second place followed by Ubuntu on the third place. On the top place of the ranking is Manjaro. Both Linux Mint and Ubuntu are popular distros. They are basicaly Debian derivatives. In case you are a Windows user and is conducting a research before making a switch to Linux, I personally suggest Linux Mint (Cinnamon) since it has a similar interface to Windows. It takes less time of adaptation for you to familiarize yourself with the new operating system. But in general, there is not much difference between Linux Mint and Ubuntu.